Amy brings 17 years of personalized financial planning experience to Gulf Coast Wealth Management as a CERTIFIED FINANCIAL PLANNER™ practitioner and as a Chartered Retirement Plan Specialist™. She is passionate about helping her clients pursue their financial goals by developing a custom financial plan, supported by an appropriate investment strategy and portfolio. Amy began her career in 1999 with Ameriprise Financial Advisors and moved her practice to Morgan Keegan & Company in 2007. After a short break to focus on her family, Amy joined Gulf Coast Wealth Management in 2014. She believes hard work, responsive customer service, thoughtful advice, and goal based action plans allow her to develop lifelong customer relationships. 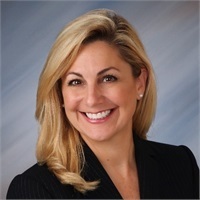 Amy is a 1997 graduate of Loyola University New Orleans and earned a Bachelor of Business Administration in Finance with a strong concentration in Accounting. As an LPL Investment Advisor Representative and LPL Registered Representative, Amy is qualified to assist clients with a wide array of financial needs. She is also a 2011 Fellow Graduate from the prestigious Loyola University Institute of Politics, as well as a 2012 Graduate of the FBI Citizen’s Academy in New Orleans. For almost 10 years, Amy has been the Field Entertainment Coordinator for the New Orleans Saints which includes hosting various artists for the National Anthem performance and halftime shows, as well as escorting VIPs for award presentations at all the home football games. Amy lives in New Orleans and is the proud mother of three daughters, Allyson, Madylin and Sophia. In her free time, she enjoys cycling, volleyball, community volunteer work, and traveling with her daughters.